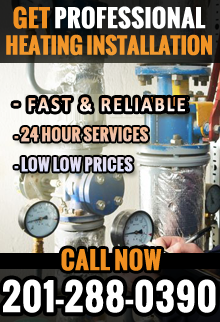 Are you looking for heating repair in Morris County, NJ? 1st Choice Plumbing provides expert heating repair in Morris County, NJ at competitive prices. We are a licensed and bonded plumbing, heating, and cooling company with many years of trusted service to residents and commercial owners. Our highly experienced heating specialists are fully trained in a variety of heating systems. We promptly identify problems causing your heating system to malfunction and get to work without delay. Your well-being and quality of life is our priority, and our professional heating services restore your heat with expert care and service. When heating systems get old, they become increasingly inefficient and take a longer period of time to reach a desired temperature. At 1st Choice Plumbing, Heating and Drain Service, our team of highly-experienced heating contractors offer top-quality heating repairs in Morris County, NJ for properly functioning heating systems. When you need a heating repair in Morris County, NJ, there are several steps that must be taken into consideration. Our heating professionals will obtain a permit for your home or business and design a repair plan tailored to fit your budget and needs. We will also perform custom duct-work and oil-to-gas conversions, as well as a post-repair inspection after your heating repair in Morris County, NJ. At 1st Choice Plumbing, Heating and Drain Service, we have the expertise to perform heating repair in Morris County, NJ for any type of heater you own including boiler repair in Morris County, NJ, baseboard heating repair in Morris County, NJ and furnace repair in Morris County, NJ. During brutal winter months, we are available for emergency heating repair in Morris County, NJ. We understand that when your heating system stops working during winter, that this can quickly become a hazard not only to your well-being, but to the health of you and your family. We are available with 24 hour repairs, so you can trust that no matter the time of day we will visit your home or office to restore heat on your property. Our heating experts have worked with boiler brands including Utica, Weil-McLain, Peerless and Crown and furnace brands including Lennox, American Standard, Carrier and Goodman. We provide all customers with a free estimate with every heating repair in Morris County, NJ. We also offer Energy Star® rated heating systems, so you can save up to 30% on heating costs this winter. At 1st Choice Plumbing, Heating and Drain Service, our heating repair in Morris County, NJ is available 24/7 for your heating emergency. For more information on our heating repair in Morris County, NJ, call 1st Choice Plumbing, Heating and Drain Service at (201)288-0390!